Balanced lush garden spaces with homes of inner sanctuary . 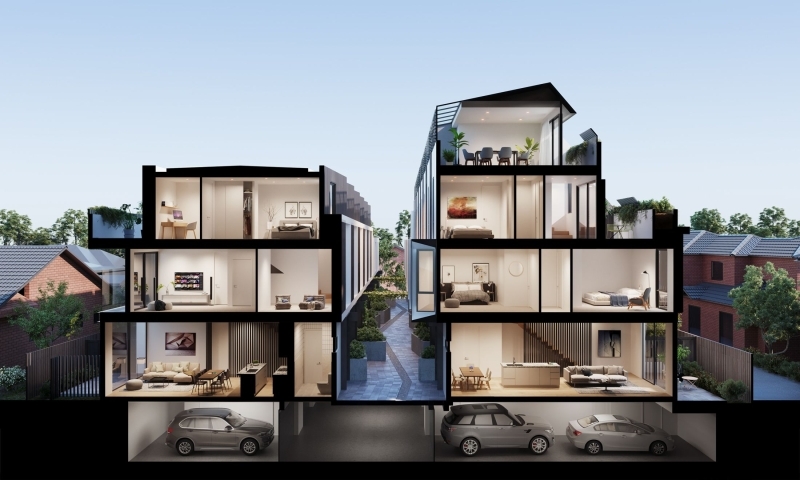 The Welle is architecturally designed for effortless modern living. Featuring two distinctive buildings, The Welle is divided by a unique center spine, linked with luscious greenery. 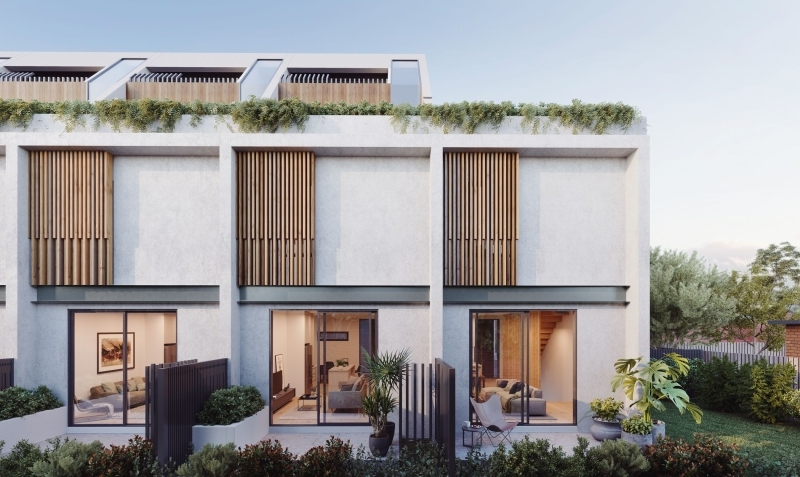 With an emphasis of bringing the outdoors in, the residences feature large windows, open plan living and a range of manicured gardens and outdoor spaces to enjoy. 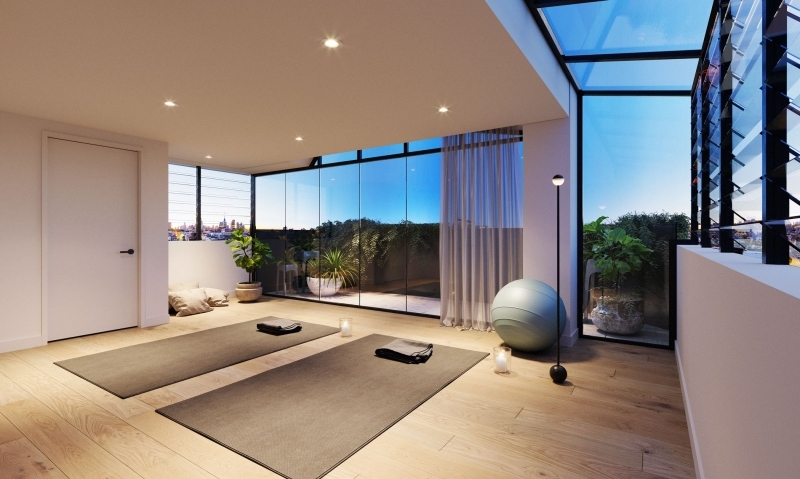 Delivering picturesque views towards Dandenong Ranges and sweeping vistas towards Melbourne's CBD from floor-to-ceiling windows and terraces. Design of The Welle has been carefully considered throughout. 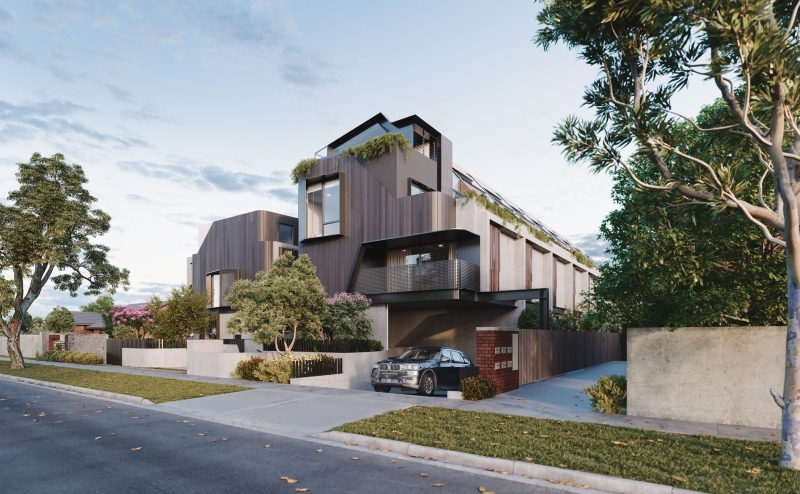 Mature trees, private gardens and natural materials used in the building form add to the organic quality of the architecture and provide a sense of sanctuary where residents can find peace amid a busy lifestyle. A serene home of grand open spaces and glorious natural light, The Walle is a welcoming place with a range of floor plans to suit every lifestyle. 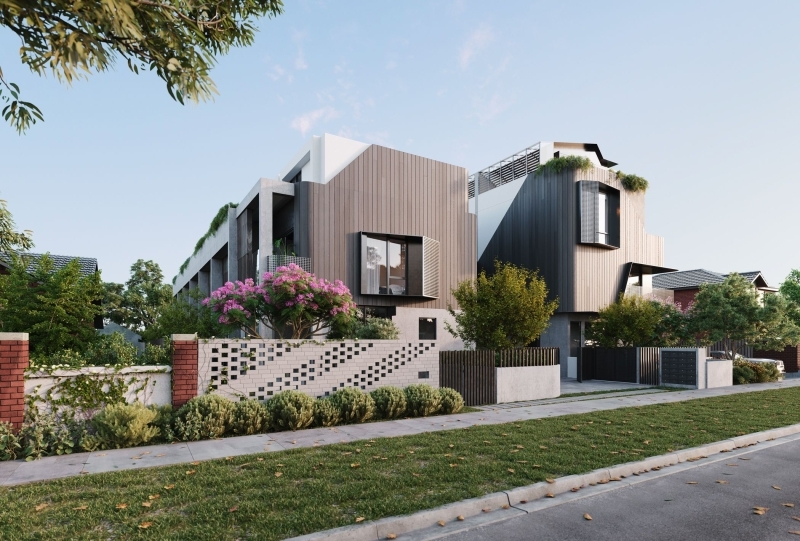 Incorporating a mix of traditional elements and contemporary embellishment, each townhouse boasts generous floor plans and maximum window frontage, enabling sunlight to stream through open-plan living areas year-round. Featuring the finest of finishes, each room comprises considered detailing, sophisticated materiality and high-end integrated appliances, elevating the experience to one of premium proportions. At the same time, oak timber flooring and earthly palette provides a seamless connection to the garden spaces beyond. With multiple outdoor settings and recreation areas, living spaces at The Welle are designed to inspire a community environment. The signature spine provides an area for children to play, families to gather and neighbours to enjoy a barbecue amid the greenery. In addition to this communal green, private courtyards and balconies create the option of outdoor solitude for each home. Bathed in natural light, the bedrooms at The Welle are spacious with in-built wardrobes designed to house your collection. A peaceful colour palette and plush carpeting underfoot enhance the sense of natural tranquility found throughout the entire residence. The Welle offers room to entertain in style, so naturally kitchens are ready for every gourmet experience. Contemporary culinary spaces feature grey honed bench top, high-end appliances and abundant storage. The oak timber floorboards imbue the kitchens with a sense of warmth, while LED down lights illuminate the considered detailing and elegant finishes. 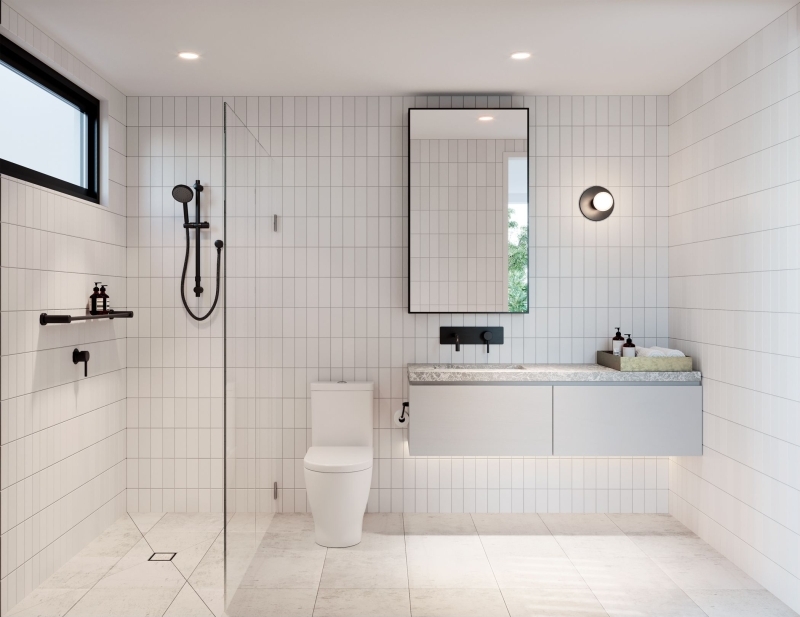 The intelligent design continues in the en suite and bathrooms, with clean lines and natural elements intertwined to offer a timeless aesthetic. Stone vanity bench tops complement floor and wall tiles, while custom designed stainless-steel sink, bold black tap ware and sleek splash back elegantly combine traditional and contemporary style.